According to WHO, Cancer is one of the leading causes of morbidity and mortality worldwide, with approximately 14 million new cases in 2012. The number of new cases is expected to rise by about 70% over the next 2 decades. Globally, nearly 1 in 6 deaths is due to cancer. Approximately 70% of deaths from cancer occur in low- and middle-income countries. The economic impact of cancer is significant and is increasing. The total annual economic cost of cancer in 2010 was estimated at approximately US$ 1.16 trillion. Recent improved understanding of the molecular basis of immune recognition and immune regulation of cancer cells led to the development of several targeted therapies that have shown promise in the treatment of metastatic cancer patients. Unfortunately, drug resistance to BRAF or MEK inhibitors often develops within the first year of treatment and is accompanied by disease progression in many patients. While combination therapy with BRAF–MEK inhibitors delays progression and improves overall survival as compared to monotherapy, development of multi-drug resistance still leads to disease relapse in many patients. In such cases of metastatic disease, immunotherapy has emerged in recent years as an exciting treatment option for cancer patients. The goal of successful anti-tumoral immunity is the development of long term protective immunity to prevent relapse. Checkpoint blockade Immuno- therapies with monoclonal antibodies targeting inhibitory receptors such as CTLA-4 and PD-1 on CD8+ T have dramatically improved both antitumor T cell function and clinical responses in cancer patients. Both monotherapy and combinatorial approaches with nivolumab (anti-PD-1), pembrolizumab (anti-PD-1), and ipilimumab (anti-CTLA-4) have been shown complete and objective responses in not more than 50% of cancer patients as some patients experience disease relapse in as early as the first few months of treatment. 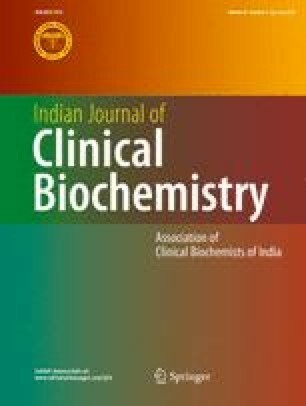 Recent progress in omics and cancer stem cell based study including our lab work has shown new potency to address the relapse and drug resistance in management of cancer patients [1, 2, 3]. CAR-T cell therapy can induce rapid and durable clinical response, but is associated with unique acute toxicities, which can be severe or even fatal. Therefore, new modalities to reduce morbidity and mortality due to cancer are urgently needed. In such cases of metastatic disease, immunotherapy has emerged in recent years as an exciting treatment option for cancer patients. The goal of successful anti-tumoral immunity is the development of long term protective immunity to prevent relapse without toxicity. Adoptive cell therapy (ACT) is a treatment that uses a cancer patient’s own T lymphocytes with anti-tumor activity, expanded in vitro and reinfused into the patient with cancer . Most cancer vaccines failed to demonstrate a clinical benefit in the treatment of cancer, even in the presence of anti-tumor CD8+ T cells in the blood. Efficacy of CD8+ T cells for ACT of cancer can be augmented by increasing their ability to mediate immediate effector functions and initiate systemic immunity as well as persist at epithelial barrier sites where tumor arise and/or metastasize. TRM (resident memory) cells are recently discovered effector T cells which can develop the memory in peripheral tissue of resident upon challenge with tumor antigen. These TRM cells are derived from precursors that entered tissues during the effector phase of immune response and remained positioned within the compartment . Studies in human cancer show that the infiltration of tumors by T cells with CD8+ TRM cell-like phenotype correlates with improved overall survival in early stage non-small-cells- lung carcinoma, pulmonary squamous cell carcinoma and high-grade serous epithelial ovarian cancer . The advantage of TRM cells is that they can respond rapidly to pathogen challenge at epithelial barrier sites independently of recruitment of T cells from the blood. Short-term studies in mice and rhesus macaques revealed that tissue memory CD8+ T cells are relatively stable for 300–700 days. Additionally, CD8+ TRM cells in the barrier tissues are able to scan multiple host cells at once for pathogen to locate infected cells. After sensitization of small number of TRM, an amplified signal to more-abundant members of the innate immune system, including local humoral responses, maturation of local dendritic cells, and activation of natural killer cells can be achieved. CD8+ TRM cells persist at frontline site of infection exposure and act as local sensors of previously encountered antigens that precipitate innate-like alarm signals and draw circulating memory CD8+ T cells into the tissue. Sun et al. reported a correlation between the ability of elicit local TRM and tumor protection by generating enhanced antigen-specific CD8+ T cells with the mucosal TRM phenotype. In a very important study, it was reported that cell transformation triggers a tissue-resident lymphocyte response in oncogene-induced murine cancer model which is dependent on cytokine IL-5 . After intranasal vaccination with a mucosal vector, the B subunit of Shiga toxin induced local TRM in another study which inhibits tumor growth . Because analyses of tissue immune response will provide insights that are not obvious in cells in circulation; clinical trials testing therapeutic cancer vaccination regimens should always consider monitoring immune response whenever possible. To better exploit TRM cells, the rule for practicably establishing these T cells subset at the desired location have to be better defined. In this regard, it will be critical to demonstrate the maintenance requirement and potential longevity of TRM cells in peripheral tissues. Multiple studies have evaluated that genetic manipulation of lymphocytes using retroviruses that encode T cell receptors can arm normal T cell with robust anti-cancerous response. Therefore, adoptive transfer of these engineered T cells into patients with metastasis can mediate tumor regression with higher success and can be looked as promising immune therapy for patient with drug resistant cancers.